The book A Beautiful Mind, published in 1998, is an unauthorized biography of the Nobel Prize-winning economist and mathematician John Forbes Nash, Jr. Written by Sylvia Nasar, professor of journalism at Colombia University, USA, the book generally receives very positive reviews and won the National Book Critics Circle Award for biography in 1998. The book was also one of three final nominees for the Pulitzer Prize for Biography or Autobiography in 1999 but lost to Lindbergh by A. Scott Berg. Not only the critics but also the book-buying public showed a strong interest in A Beautiful Mind and it appeared on the New York Times Bestseller List for biographies. 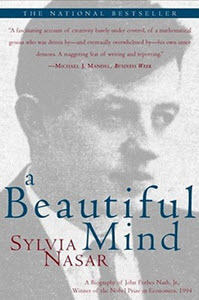 The book served as inspiration for the 2001 film A Beautiful Mind, directed by Ron Howard and starring Russell Crowe and Jennifer Connelly in the roles of John Forbes Nash, Jr and his wife Alicia Nash. This film went on to win several awards, including Best Picture and Best Adapted Screenplay at the 74th Academy Awards. The book starts with Nash’s childhood (he was born in West Virginia in 1928) and ends with him being awarded The Sveriges Riksbank Prize in Economic Sciences in Memory of Alfred Nobel in 1994, a prize commonly referred to as the Nobel Prize in Economics. Among other things, the book covers Nash’s years at Princeton and MIT, his work for the RAND Corporation, his family life, his struggles with mental health issues, his arrest for indecent exposure in an anti-homosexual sting operation, and how he was fired from RAND after having his security clearance revoked. The nature of his mathematical genius is written about in great detail, and the book provides a close examination of Nash’s personality, drive, and way of thinking. 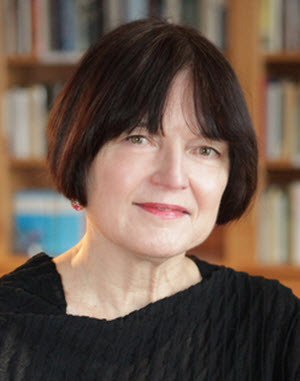 Sylvia Nasar is a German-born professor and writer who live and work in the United States. Since 2001, she has been a John S. and James L. Knight Professor of Business Journalism at Columbia University. Nasar lives in Tarrytown, New York, with her husband, the Fordham University economist Darryl McLeod. She has three adult children: Clara, Lily, and Jack. Sylvia Nasar was born in Rosenheim, Germany on 17 August 1947. Rosenheim is located in the Bavarian Alpine Foreland in the south-eastern part of Germany, very close to the Austrian border. In 1947, World War II had recently ended and the territory where Nasar was born was administered and occupied by United States forces. From 1949 to the German reunification in 1990, Rosenheim was located within West Germany (the Federal Republic of Germany). Sylvia Nasar’s mother Ermelinde Roth was a local Bavarian, while her father Ruzi Nazar was an Uzbek living in exile in Germany. Roth, who was the daughter of a prominent anti-Nazi Catholic Bavarian judge, got to know Nazar after the war, and the two married toward the end of 1946. Sylvia, their first child, was born in August the following year. In 1951, Ruzi Nazar accepted an offer from Archibald Roosevelt to start working for the CIA, in a newly formed Central Asian Unit based at Columbia University, New York City. The whole family moved to New York City and established a new life there. In 1960, when Sylvia was an adolescent, the family moved again – this time to Ankara in Turkey was Nazar served as a CIA officer at the United States Embassy for 11 years, before accepting a position in Bonn, West Germany where he would remain for a decade. Sylvia Nasar graduated with a B.A. in Literature from Antioch College in Yellow Springs, Ohio in 1970, and followed it with a Master’s degree in Economics from New York University in 1976. For four years, Nasar researched with Russian-American economist Wassily Leontief (1905-1999). Leontief had been awarded the Sveriges Riksbank Prize in Economic Sciences in Memory of Alfred Nobel (“the Nobel Prize in Economics”) in 1973, and his doctoral student Paul Samuelson had received the same award three years earlier. Eventually, three more of Leontief’s doctoral students would be awarded the Nobel Prize in Economics: Robert Solow in 1987, Vernon L. Smith in 2002, and Thomas Schelling in 2005. In 1983, Nasar became a staff writer for Fortune Magazine. Nasar started writing columns for the U.S. News & World Report in 1990. In 1991-1999, Nasar worked as an economic correspondent for the New York Times. It was during this period that her book A Beautiful Mind was published. Since 2001, Nasar has been the John S. and James L. Knight Professor of Business Journalism at Columbia University. In March 2013, she filed a lawsuit accusing Columbia University of misdirecting $4.5 million in funds from the Knight endowment. An unauthorized biography about the Nobel Prize-winning economist and mathematician John Forbes Nash Jr.
A historical narrative used to promote Nasar’s view that economics rescued mankind from deprivation. The book gives a wonderful view of how economists often act all too human and overstate their cases and gamble their fortunes. How they metaphorically bet everything on red at the roulette table despite knowing better. How their human instinct overrides there better sense. I highly recommend this book.